Finding a proper gift for your beloved ones can sometimes be very difficult. Especially when we talk about Christmas or New Year’s Eve. You have to pick something which will bring a smile on their faces and make them truly happy. Therefore, we’ve made the list of Swiss gifts for 2019, to help you find what you need much easier. And you know what? 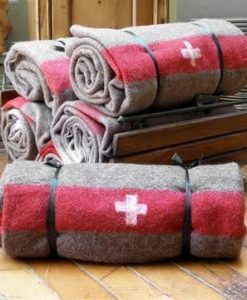 You’ll definitely find something they’ll love in the sweet world of unique gifts from Switzerland! Complete your holiday celebration with Cailler Christmas pralines! Without a box of Cailler pralines, Christmas will be incomplete. Inside you will find a variety of flavors and textures of the best Swiss pralines. Each melting bite reveals a smooth and rich taste of the finest Swiss chocolate. Experience pure sophistication with the Frey Adoro chocolate balls. This exquisite praline specialty will simply melt in your mouth with every bite. When you bite through the crispy shell, you will discover the incredibly smooth and creamy center! Just delicious! One of the Swiss finest. Each roll, and there are 20 of them, is prepared individually to a traditional Swiss recipe. And what makes these wafer rolls so special is the filling. The finest Swiss chocolate and adorable gourmet creams will just let these rolls melt in your mouth. The pure pleasure for every chocolate lover! The combination of the best Lindt chocolate, Swiss cherry, and a soft touch of cocoa powder will definitely find the way to the heart of your loved ones. Therefore, Lindt Christmas cherry sticks meet the highest demands of every sweet tooth out there. Get one of the best Swiss traditional chocolates to your house this Christmas! Inside of this beautiful package, there are 24 special Ragusa Christmas chocolates – classic, noir, and blond. Furthermore, every sweet piece carries its own Christmas story with itself. Sweet, unique and delicious – Ragusa chocolates! The finest chocolate with the soft melting filling. Lindor is one of the finest creations of house Lindt. Experience how the soft-melting fillings slowly melt on the tongue and gently pamper all your senses. Hence, with these wonderful Lindor chocolate balls, you’re going to have the unique Christmas pleasure. One more Lindor specialty for the praline lovers! Lindor mini pralines are a delicately melting chocolate specialty from the heart of Switzerland. The wintry design makes them perfect as a gift, but also for your own pleasure. Experience a distinctly smooth and rich taste, characteristic for the Lindor praline. Rimuss Secco is an iconic Swiss alcohol free sparkling wine. Everybody toasts with Rimuss! This Swiss version of non alcoholic champagne provides a fresh, tingling sensation for your taste buds. Originally developed for kids, but equally loved by adults! The main reason your loved ones will adore this cute Santa is its shape and, of course, the authentic Christmas symbolism. But, trust me, the tender milk chocolate which is hiding behind this cutie is simply irresistible! Traditional pastry specialty from Graubünden! Ten small tortes inside of the Christmas package are filled with delicious walnuts in a fine caramel mass. Classic and authentic Christmas gift. Furthermore, since there are 10 small tortes in there, you can dedicate each of them to the different person. And even save the one for yourself! The special triangular shape and the filling composition of hazelnut and almonds make this Berger biscuit unmistakable. Delicious as they are, these biscuits were simply made to please everyone! Therefore, it is a perfect cookie for such a special occasion like a Christmas. The holiday season won’t be complete without the perfect Christmas cookie! Taste the sweet sensation, made special for you right here in heart of Switzerland. Hug Prestige Milanese cookies are extremely popular during the Christmas season. Everybody will love Hug Prestige Milanese cookies, both kids and adults, and you will for sure want to have these in many years to come. Hug Christmas Anise cookies simply belong to Christmas. Anise cookie with a hard texture and unmistakable flavor, baked in the typical ‘Chräbeli’ shape. Wheat flour, butter, anise, eggs, and star anise oil are the key ingredients which provide this impeccable taste. And last, but not the least important, the mix of Christmas cookies with Milanese butter cookies, Cinnamon stars, and Brunsli. Three favorite and classic Christmas cookies! Milanese with the lemon flavor, Cinnamon stars are well-known as Swiss German most traditional Christmas cookies, and Brunsli with lots of almonds, hazelnuts, and a delicate cocoa flavor. Three in one!